The Kindle Fire is a great tablet and very versatile from reading books to watching Amazon videos and streaming music. As much as the Amazon services are great, apps are what really make a tablet in the end. 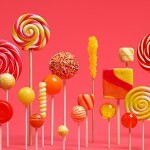 Thanks to the popularity of the Kindle Fire developers have been willing to make Kindle Fire edition specific apps. This is specially the case with games that need to be optimized to work on Kindle Fire hardware. In this post we are going to review the top 10 game apps that have been specifically made for the Kindle Fire and designated as Kindle Fire Edition. These apps are guaranteed to work smoothly and give the best experience. Let’s take a look at the top Kindle Fire games. 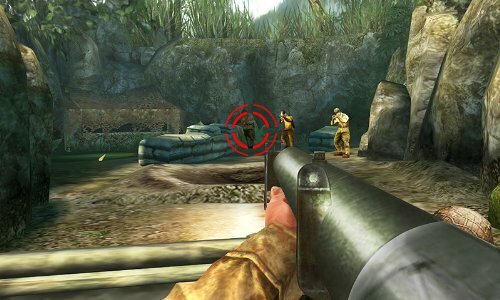 Gameloft makes some of the best games for Android and Modern Combat 3 is no exception. This is a first person shooter (FPS) game and is definitely the most graphically advanced game on the Kindle Fire. You can play single player game in 13 intense fighting missions or go at it in multiplayer mode with up to 12 players and 6 maps. If you’re looking for a FPS game then this is the only game to buy. It is well worth the price and I absolutely prefer it over the freemium style game that continuously charge for upgrades. This is one game that you won’t regret purchasing. Rovio’s Angry Birds was a huge hit and went viral during its initial release. It was hard to think they could come back with something better but we were wrong. Angry Birds Space takes everything from the original game and adds a twist and makes it feel all new again. You still have to destroy the piggies but now you are in space and hence at the will of space gravity rules. This time as you sling shot, the birds are affected by gravitational fields that pull you towards planets and objects. 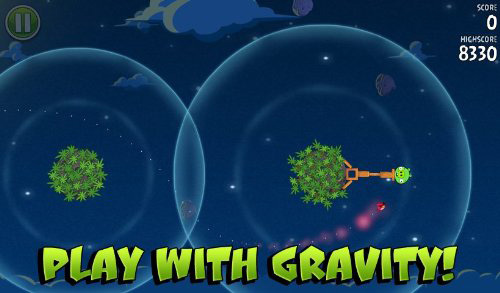 If you were a fan of the original game then Angry Birds Space is no exception. This version has been optimized and with HD graphics for the Kindle fire. Draw Something app went viral with over 50 million downloads and it’s arrived on the Kindle Fire. The app was so popular that Zynga decided to buy the company for a lot of money. So what’s all the fuss about. 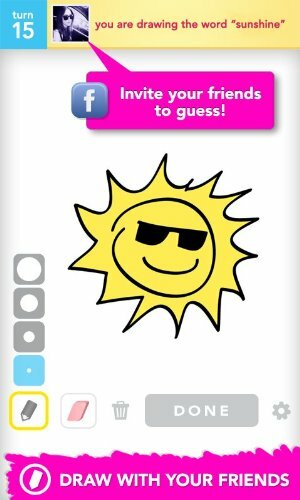 Draw Something is a social drawing app that allows you to draw and share. The idea is that you draw something then send it to friends to guess your drawing. If you ever thought that you have an artist in you then the time has arrived. Go ahead and draw something already. No list of top games can be complete without a racing game. 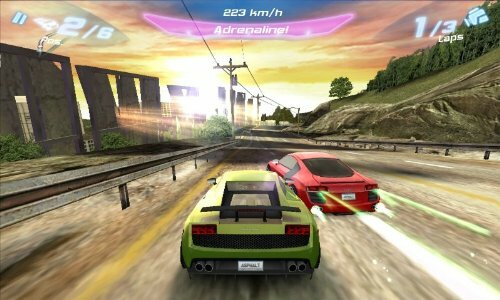 Asphalt 6 is the best racing game on the Kindle Fire and is one of my favorite personal apps. The graphics and play quality is excellent with 42 cool cars and bikes to race. I found the game challenging to play but still able to progress through the levels. There are lots of race locations like New York, Tokyo, L.A. and more in day and night. At a low price of 99 cents this one is a steal. Get behind the wheel and get your race on. Electronic Arts has taken the popular Dead Space console game and made it mobile for the Kindle Fire and Android. 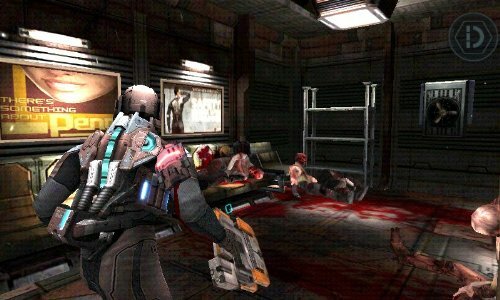 Dead Space is a Sci-Fi horror third-person shooter game with tons of blood, guts, limbs, and much more. This is an intense game with lots of horrifying aliens and great action. 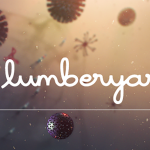 So strap in and get ready because in this game you’ll need all your concentration to survive. 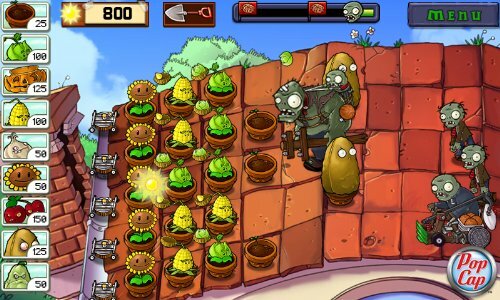 There are tons of tower defense games for Android but Plants v. Zombies has withstood the test of time. The app takes the traditional tower defense game and puts a unique twist with plants and zombies. You get to use 49 different types of plants to defend your house from 26 different zombies through 50 levels. Each zombie has special skills that you have to defend and along the way you have extra challenges from fog, setting sun, and more. 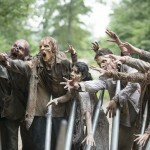 There is just something cool in defending zombies with plants. 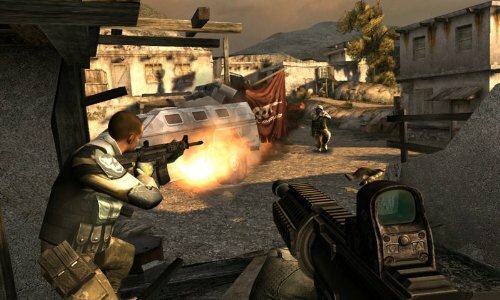 This is another FPS game from Gameloft and next in line to Modern Combat 3. The graphics are excellent and the controls are good. You can play single player mission or multiplayer with up to 5 players. The game takes place in WWII and the maps include Pacific, Normandy, North Africa, Germany and Sicily in 50 missions. The weapons are realistic and the action intense. But this game is a freemium which means that it’s free to play but you have to pay for upgrades. I usually don’t like this model but if you don’t want to pay $7 for a game and don’t play that much then this might be better. If you are good at the game then you can make good progress but eventually you’ll hit a road block. Still a great game to play and I would highly recommend trying it. 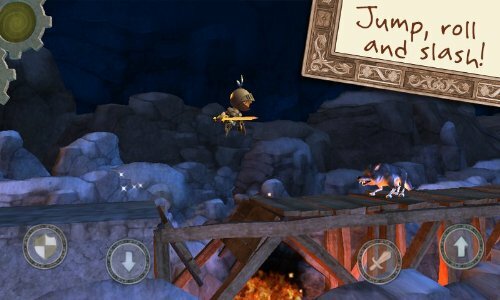 Wind-up Knight is a 3-D side-scrolling game featuring high quality graphics and intense adventure. The game is very popular on the Android platform and it’s no difference on the Kindle Fire. Take the knight through 50 levels of jumping, slashing, sliding, diving and more while avoiding enemies and obstacles. Upgrade weapons and armor while unlocking hidden levels and items. This game is intense and challenging so bring your best game. If you’re up to the task you can unlock all the levels on your own otherwise you can pay. Either way you’re guaranteed to have lots of fun. No top-10 list can be complete without a sports game and what can you say about Madden NFL 12. This Electronic Arts series was popularized on console games like PS3 and Xbox 360. 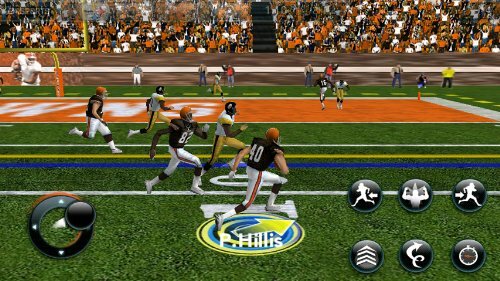 Madden NFL has survived the decades and continues to be the only football game to play and now it has come to Android and the Kindle Fire. Certainly on a tablet the controls take some getting used to but once you master it then you get all the greatness of Madden NFL. Take control of you favorite NFL team with real players and playbook. Do you have what it takes to to make through the season and become a Superbowl champion. If you’re looking for a great game for the kids or young adults than Zoo Club is you app. 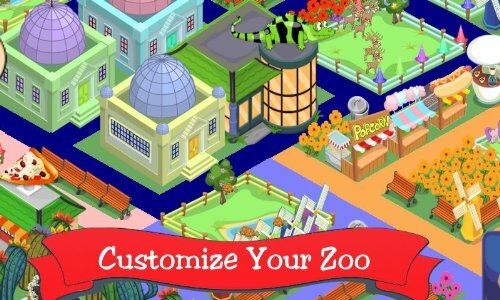 This is a fun and interactive game when you are in charge of creating and maintaining you very own zoo. You get to design your own zoo, hire zoo keepers, and feed and care for animals. There are the traditional animals like elephants and some not like dragons and dinosaurs. The app is updated frequently and one of the newest addition is an aquarium. Lots of cool things to do and keep you occupied for many hours. Well that’s that our top 10 list of the best Kindle Fire Edition games. There are lots of apps to choose from and it’s a difficult choice but these apps are worthy. I’m sure many have their own top 10 list or don’t completely agree with our list. If you think we left something out or have your own list then leave us a comment. Happy gaming everyone.